191-game ruckman officially calls time on his 13 season career. Will Minson has announced that he is ending his career at the Kennel at tonight's Sutton Medal count. Find out how the AFL-listed players performed in the VFL on the weekend. A big bodied ruckman who has thrived on the added responsibility of first ruck duties since 2012. Dominating his positional craft for the past two seasons, Minson was recognised with All Australian honours in 2013. The South Australian was drafted as a second round selection (pick 20 overall) in the 2002 AFL National Draft. 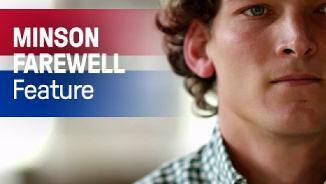 By his own admission, 2015 was a “challenging” year for Will Minson. The former All-Australian struggled to find consistency and only played 10 games in the senior side. Minson’s challenge was to adapt to a new game plan, but the 30-year-old did find patches of his best throughout the year. The ruckman’s highlight came in round nine against GWS, playing against the in-form Shane Mumford. Minson collected 17 hitouts, 12 disposals, two goals and 16 Sutton Medal votes. He also earned a call-up back to the senior side for the elimination final against Adelaide. Competing against dominant Crows ruckman Sam Jacobs, Minson played perhaps his most influential game of the year – collecting 26 hitouts and 12 possessions. Minson averaged 26 hitouts from his 10 games, ranking 11th in the league. 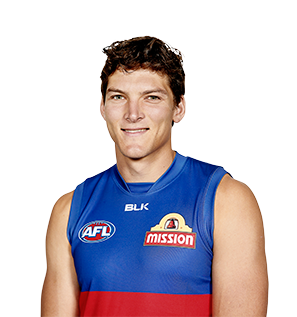 After being named All-Australian in 2013, Minson’s summer was hampered by a back injury and although playing 21 games in 2014, struggled to match his 2013 form. Minson received more attention in 2014, whilst predominantly shouldering the Dogs’ ruck duties on his own for much of the season. However Minson showed glimpses of his best form including a 55-hitout match in the two-point victory against Richmond in round two. 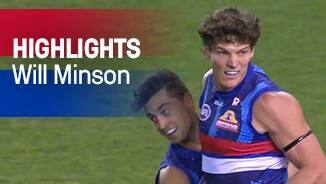 Minson averaged 36 hitouts in 2014, the fifth most in the league. “After the season I’ve just had I’m even more determined now to return to good form next year. “It’s just a challenge every year and you’ve got to find ways to improve and I’ll be working hard in the off-season to find those improvements.” – Will Minson speaking with the Herald Sun in September 2014. All Australian honours and a third placing in the Bulldogs best and fairest attest to Minson’s impressive season. Playing every match, ‘Big Will’ led the competition in hitouts, ranked third at the Bulldogs for clearances, fourth for contested possessions and fifth for tackles. The ruckman celebrated his 150th game with victory against the GWS Giants and provided many individual highlights - one being his astonishing 57 hitouts against Port Adelaide in round 10. Averaging 39.1 hitouts per game, Minson was just 19 hitouts (less than one per game) from breaking the all-time record set by Gary Dempsey (878 hitouts in 1982). The 28-year-old also led the league in hitouts to advantage showing he can not only get palm to ball but he is also accurate in delivery. Leading the league in hitouts in 2012, the 27-year-old had the most productive season of his career and proved his worth in the senior lineup. His efforts in fact indicate that the big man had double the number of hitouts per game (31.8) in 2012 than his career average (15.9). He was also ranked fourth in the league in hitouts to advantage (161). After a standout showing in the VFL, ruckman Will Minson forced his way into the senior side in Round 6 of 2011. His selection paid off with 56 hit-outs in the match against Collingwood which was the best return by any ruckman all season. 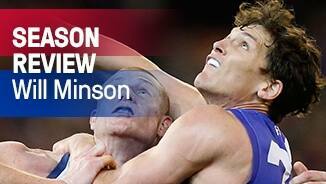 Minson will fight for the number one ruck position following the departure of Ben Hudson.